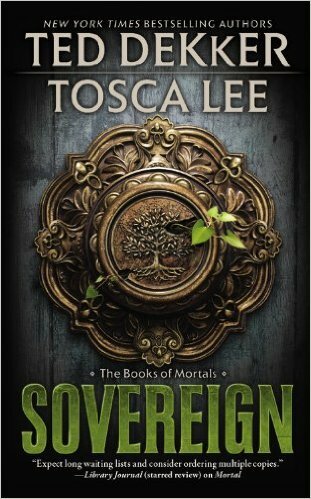 An hour-long conversation with Tosca Lee, the award-winning, New York Times bestselling author of The Progeny, Firstborn, Iscariot, The Legend of Sheba, Demon: A Memoir, Havah: The Story of Eve, and the Books of Mortals series with New York Times bestseller Ted Dekker (Forbidden, Mortal, Sovereign), with a focus on her new thriller, The Line Between, just released by Simon and Schuster. So, Tosca, welcome to The Worldshapers. Now, we’ve never met in person, but we do have something in common: we both share a publicist, Mickey Mickelson, at Creative Edge. So, I think we ought to give him a shout out off the top here. Yay, Mickey! Yes. He’s awesome. He is. 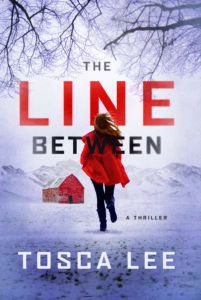 Now, we’re going to focus a little later on in the interview on your very latest novel, The Line Between, which will, I think, when this goes live it will have just released, so this will be very timely. January 29, I believe is the release date. So, we’ll talk about that in detail. I finished reading it just this morning, actually, as we’re recording this, and so it’s very fresh in my mind. But let’s go back in the mists of time to find out what path actually took you to writing, ’cause you didn’t start out planning to be a writer, did you when you were a kid? No, I didn’t. I really wanted to be a professional ballerina and it was something I pursued very ardently and very seriously, up until I had a…I tore a groin when I was a teenager. So, that takes a long time to heal, and then I grew six inches, which can…you know, on pointe shoes I’m six-foot tall, so it takes a special kind of partner to be tall enough to partner me now. So, yeah, it kind of became apparent maybe that was not going to be the path for me, so I went off to college and was thinking maybe I’d go into some kind of business. My dad was a lifelong business management professor. And I thought, maybe, I’ll do something in business, or maybe I’ll…at some point my parents said, “Why don’t you become a news anchor or something?” I don’t know why, and I was like, “Oh, yeah,” and then I thought, well, maybe I’ll go into advertising. I don’t know why I thought these things. But it was not really at the forefront of my mind, even though I had been writing my whole life. I grew up, you know, writing stories and poems and things, and I won contests, and went off to little young people’s writing conferences and stuff. But I just never really thought of it as a thing. So, I was born in Virginia and we moved, right before I started First Grade. So, I did most of my growing up in Nebraska, where my dad taught at the University until just a few years ago, when he retired. Well, I’m in Saskatchewan, so I kind of that whole Great Plains thing is very familiar. And all my relatives are in places like Missouri and Oklahoma and places like that stand. Also, the ballerina aspect is interesting to me because my daughter is a dancer and she’s taken ballet and tap and, never really thought of doing it professionally, because she doesn’t have the a body type either, but it’s interesting because she has commented on the fact that she has friends who wanted to be professional dancers, and then they injure themselves as a teenager and that dream kind of fades at that moment. So, she’s actually thinking of going into kinesiology and wants to help people like that work through their problems, and sports psychology and all that kind of stuff. That’s wonderful, because it’s become, even in the last couple of decades, since…well, it was slightly longer than that I guess for me, but in the last couple decades even, dancing has become so competitive and the bar is so much higher, I think, than it was even then. So, it’s very extreme. Yeah, I’m just as glad she’s not trying to pursue it professionally, speaking as a father. It’s hard on the body. And, speaking of fathers, your dad, actually…I was reading an interview with you…he actually had a lot to do with you writing your first novel, didn’t he? Yeah, he did. Well, what happened is, so I went off to college and went to Smith College in Massachusetts, and I was back for spring break for some reason, I’d come back for spring break, and I was, we were in the car, and I was talking with my dad and I was talking about…talk about the mists of time, I was talking about one of my favorite books, which was called The Mists of Avalon, by Marion Zimmer Bradley. I just loved that book and I’ve read it many times. It’s a retelling of the women behind King Arthur’s throne, the women behind the King, basically. And it’s fascinating, the characters are amazing, and I was having this conversation with my dad and talking about how books are like emotional roller coasters and they’ve got twists and turns and sometimes you’re upside down. And I just blurted it out that day and said, “You know, I think I’d like to write a book,” and the thought was, you know, maybe it’d be fun to see if I could write something like that for somebody else to enjoy. And so, my dad made me a deal that day. He said, “Okay, look. I will I will pay you what you would have made this coming summer working at the bank. which I had done the summer before and I was supposed to go back and work again as a bank teller, which I’m terrible at because I’m horrible with numbers, and my drawer would never balance, and it was just a fiasco, but he said, “I will pay you what you would have made working at the bank if you will very seriously spend your summer writing full time, writing a novel. Your first novel.” And I said yes. And so, I did, I spent that summer writing my first novel. And of course, I couldn’t do anything just kind of simple for starters. I had to write this Neolithic historical novel about the people of Stonehenge, England. And of course, I spent the early part of my summer over in Oxford, I was studying economics the first part of the summer, so I bought all these books because, you know, we didn’t have the Internet then, or any of that stuff. So, I bought all these books about Stonehenge and all this and brought them back with me and by then I had about two months left, and I didn’t really know that you can’t really do this, most people can’t do this, in about two months. But I didn’t know this. So, ignorance is bliss. And I read these books and I researched, and I tried to kind of piece together an outline and I wrote my first novel that summer…and it was not very good. Never write a twenty-three-page synopsis. Oh, my gosh. And, you know, they said, “Your characters are two dimensional, and the story lacks tension,” and all this, but somewhere in the in the letter–and it was a great letter because it was personal feedback, I mean, it was real feedback instead of just a form letter which is what you so often get these days. At some point in the letter they said, “But it is strangely reminiscent of Clan of the Cave Bear, which was also one of my other favorite novels. So, what I took away from that is my book is like Clan of the Cave Bear. And I said to myself, I’m going to do this again! And you did. But not right away. No. No, not right away. I ended up graduating from college and I went to work for a computer magazine. So that was fun, and it was very cool because I became a professional writer in that way and learned about the process of editing and publishing and I wrote two computer books during that time as well. So, it was it was very educational. See, that caught my eye as well because I went into journalism–I’m ten years older than you, I think–I went into journalism and worked as a newspaper reporter and editor. And, yeah, writing was what I did, but my first published book when I became a freelancer was Using Microsoft Publisher for Windows 95. My second book was Using Microsoft Publisher for Windows 97. So, I had a series going. Yes, you did, you did. Was it a do ology or a longer series? It turned out to just be a duology. After that, I moved on to writing about other exciting topics like Microsoft Office and Creating Cool Web Pages on AOL and stuff like that. So yeah, my writing books actually started with computer books as well. So that’s also caught my eye. That’s awesome. I remember writing tutorials for the magazine on how to use WordStar. Remember WordSstar? I still know two authors who use it. George R.R. Martin uses it, I think. Robert J. Sawyer does as well, and another fellow DAW author, Gerald Brandt, uses it. Oh, my gosh. I didn’t even know it was really still around until I read that, I think about George R.R. Martin, and I remember thinking, “Oh, my gosh. I used to know all those commands by heart. That’s what I read in my college papers on. So crazy. And there was another interesting thing that happened there in the ‘90s. You did beauty pageants. Yeah, that was a classic case of somebody saying, “You should go try this, or do that,” and I was like, “Okay,” so that happened. And I had never really grown up doing anything like that. It had just never really been in my realm of possibility. But the one thing that taught me was that when people believe in you or believe you can go do something, suddenly in your mind something opens up and it becomes possible. And so, I tried it, and I didn’t win. And then my sister-in-law at the time said, “I think you should go back and try it again.” I was like, “No, no, I’ve already done that,” and she’s like, “No, I think you have unfinished business. Go back.” And…I really learned through that process and through the second time especially, which was the time that I won, that, you know, people want to…and you want to think a beauty pageant would teach you this…that people want to make connection. They want to be seen. They want to feel that they are connecting with others. And I learned that very much through that through that whole process and through the appearances that I was fortunate enough to get to do on behalf of a lot of charities and things around the state. And actually, that experience has served me really well in this new job of being an author. I say new, it’s been a while, but in this job of being an author, especially when it comes to doing things like interviewing or interacting with people or going out and meeting readers and speaking and signing, you know, stuff like that, because I think that’s basically what we all want, to connect and to know that we’re not alone. And you were also writing, during that time, your second novel, weren’t you? Yeah, I was writing a book that I that I never finished that I fondly call “the book that will kill me.” And then I wrote another book very quickly, in about six weeks. I wrote a book that would become my first published novel, but that then took about six years to publish actually. It always seems like, and people always think that you are, even though they don’t know how many years have come into that process. Well, especially in the days when you had to print things off and you mailed them off in boxes and then you waited and waited and waited. And you have to send the self-addressed stamped envelope and it came with all these ominous warnings, remember: if he didn’t send it you would not hear back. Well, I lived in Canada, so I had to send International Reply Coupons. It was awful. 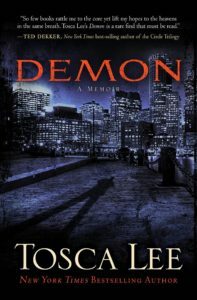 So, tell me about that first novel, Demon: A Memoir. I was part of an online gaming community at the time, and I was trying to think of a new gaming character, and I was actually thinking about doing like an angel or something, and I thought a fallen angel would be much more interesting and I just really got to thinking about life as a fallen angel and witnessing history and the progression of time. And I came home, and I started writing that book. I wrote, like, I don’t know forty-some pages that night by hand. And within about six weeks I had a first draft. But the narrative was kind of unconventional and it took a few editors…well, the editor who finally acquired it is the one who said, “Look, I think you need to frame it more like this,” and it gave me the guidance to go in and redo it and then, so that one was picked up in a three-book deal. And I remember them saying, “What else do you have?”, and during that time I had briefly entertained the idea of writing a book about Eve, from her point of view, and I had written like one page, and I pulled that page out and I was like, “Well, I’ve got this I’ve got this one page about Eve,” and they are like, “Great! We’ll take it and one other book,” and I was like, “I don’t have any other ideas,” and they said, ‘You’ll think of something. So, that was that. So, yeah, suddenly I had this three book. But I say suddenly, you know, very tongue in cheek. I was interested because a lot of your early books and even the current one, there is certainly a Christian element and you’ve been published in the Christian market. What’s your religious background? I grew up Christian. I grew up non-denominational, in just a Bible-teaching church, and so when I was writing about this fallen angel, it just made sense for me to go to the Scriptures and form it that way, because for me that’s the authority on those things that I have grown up with. So, that’s been really important to me as I wrote the story of Eve, and then I went on to write the story of Judas Iscariot and the Queen of Sheba. And so, I’m trying to keep things as scripturally accurate as possible. When you are writing Biblical stories, it has been really important. And to that end I’ve always maintained like a small cadre of experts that I can always go to, theologians, academics, you know, scriptural experts, that I can go to pick their brains and get help as I needed it. So that struck me as well, because I grew up in the church of Christ, and my dad was a preacher and an elder and so all of that stuff is very familiar to me as well. Well, you’re a bestseller and I’m not. There’s that difference. Well, yeah, that’s an overnight thing too…no, it’s not. So, all of that strikes me, and my own fiction has a lot of religious references and it does play a part in the plot as well, so that kind of struck my eye as well. Now, moving on to your current one, which we want to talk about, The Line Between, maybe you could give a synopsis so that I don’t give away something you don’t want to give away. Well, The Line Between is about a disease that has emerged from the melting permafrost and it’s causing madness in its victims and it’s spiraling towards a pandemic by the time that the main character, whose name is Winter Roth, is expelled from a doomsday cult on the American prairie, in Iowa, and so as she’s trying to acclimate to life outside this cult, in a world that she’s been taught to regard as evil, this seeming apocalypse is happening, and it seems like all the things that she was taught to fear and to expect are actually happening. And so, that’s the premise of the story and it’s…I don’t know if I can say a lot more without giving it away. She ends up on a mad race across the Midwest…yeah. That’s why I wanted you to do it and not me so I didn’t give away something I shouldn’t. So, what was…this will be a very apt metaphor considering that the New Life cult sells seeds…what was the seed from which this book grew? Well, two things. It was actually two separate ideas. One was about the disease coming out of the permafrost–and that was taken straight out of headlines, actually. There’s quite a few headlines in the last couple years talking about microbes and things coming out of the permafrost that are still viable. There was also a news story a couple of years ago in Siberia about a reindeer carcass that thawed from the permafrost, and it was full of anthrax, and it made an entire Siberian village sick and a little boy died. So, this kind of you, know menace, you know, trapped in the frozen tundra and stuff was very interesting to me and there’s been some stories about that. So, in that way it’s not completely unheard of or completely original. So, I took that in and then I also had this idea about a girl leaving a cult and just what it would be like to look at the world through her eyes as she tries to start over. And I was in New York with my publisher, Simon and Schuster, and we were having a meeting, and I was talking through some of these ideas–I came with a short list of some favorites. And my publisher at the time said, “I like these two, why don’t you put them together,” and I said, “Oh, I didn’t think of that, but that could be cool.” So, I really have to…I think it worked out really well and I really have to give credit to my publisher for that. Well this kind of, I would call it near-future science-fiction thriller, that’s what I would call it, it seems a bit of a departure from what your previous books have been. So, is this kind of a new direction for you? Well, it is only in so much that it’s a little bit apocalyptic. The two books I did before that were thrillers, also. So, this is my third thriller, so I kind of took a right turn somewhere after doing several historical, biblical historical novels, and started doing these thrillers. 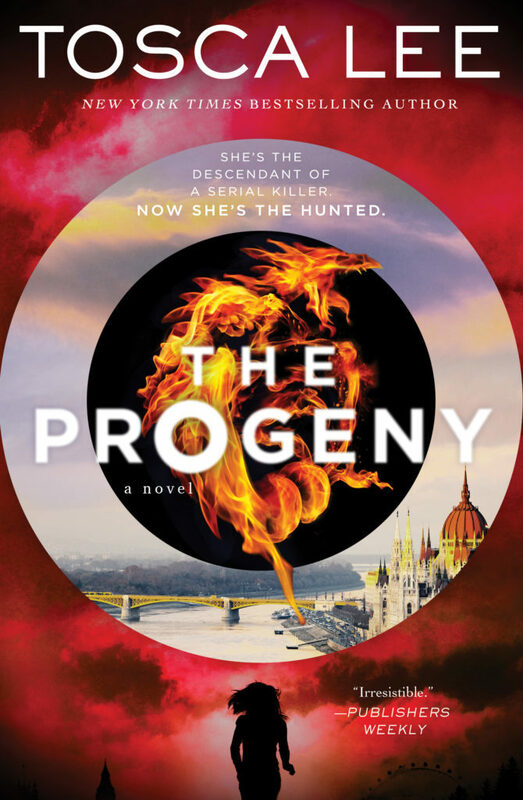 My duology before this, The Progeny and Firstborn are what they’re called, had a historical element in it. So, there was a little bit of that, but, yeah, it’s a little different. I’m really enjoying the thrillers. It’s just a completely different animal. So, with that initial idea, what happened next? There was obviously a lot of research involved in this book. Is that how you start? Yeah, I’m pretty obsessive about research. There’s not as much research as I have experienced for some of my other books like Iscariot, about Judas Iscariot, and the Queen of Sheba. So, I do my research, I form my outline…this one I ended up going round and round with a few times. It took me a little longer than normal. Yeah, I’ve got a new series that just started, and the first book was back and forth with my editor because you have to make sure you have everything in that first book that will then support the books that come afterwards. Yes. The smart thing to do would be to plan out all the, you know, what’s going to happen throughout the books, except I never do that. I dream about outlining like that and it doesn’t ever happen. But I think for me that the more outline I have, it is better. I know people who write completely free of any outlines, and I’ve tried that before, and it’s never worked out very well for me. So, what does your outline look like? How long is it? Well, it may it may turn out to be about nineteen or twenty pages, but it’s a loose kind of list of events that happen throughout the book. And then sometimes I plug in little bits of research or things, kind of more or less where I would need them. So, it’s really just a document with things more or less in order as far as I can tell. Do you find that you do some of your research as you’re going along, like you get to a point and you say, “Oh, I don’t know what Council Bluffs looks like or whatever, and you have to do a little research at that point? Absolutely. I’m always looking things up and I’m just afraid that someday some government person is going to come knock on my door because of the of my searches. Yeah, I have looked up so many killing things and weapon things and strange, strange things. Yeah. And this particular one, of course, there is the medical/scientific aspect of it. Who did you talk to about that? My sister is a doctor and she also teaches medical school. Yeah! So, it is a prion disease in this book which is the same…it’s the kind of disease that Mad Cow is. It’s called Creutzfeldt-Jacobs Disease when it’s in humans. It’s very insidious, it’s very scary. We had to accelerate it a little bit for this book and so…it was really kind of fun and scary and a little weird to realize that you’re like basically designing this, like, designer disease to wipe out a bunch of people. So, with this, I mean, The Line Between has a fairly complex structure, with flashbacks mixed with the present-day action. It’s largely first-person, but not quite entirely. Did you…does your outline say, well, “Here we’ll have the flashback, and then this part will be present-day, and then here’s another flashback,” or does that sort of happen as you’re writing? That kind of thing happens as I’m writing. I’m not I’m not quite that visionary or organized ahead of time. You know, I kind of know what I want to happen, and then when I go in, I just have to kind of see how it feels. And a lot of things happen in the process of writing. I mean, I find that I can outline to my heart’s content, but things always change, and things always come up in the actual process of writing and I compare it to looking down at a map or down at the ground from 30,000 feet, but it’s very different when you have boots on the ground. So, it’s a completely different perspective. So, things happen in the process of writing. For that one, I wanted to show what had transpired to lead to Winter’s being expelled from this cult, but I didn’t want to slow down the narrative, or drain out the tension. And so, that’s why I decided to go with this kind of back-and-forth, like past-present-past-present structure in the book. I thought it worked very well, because, it was like, just when you wonder about something in the present day, then you get this little nugget of information from back in the enclave of how it got to that point. I thought it worked really, really well. Thank you. Well, it took a little massaging through some of the some of the drafts, that I am very happy with how that part too. So, thank you. And then there’s a couple of not-first-person sections was that just a place where you felt you needed to get some information out and that was the best way was to give a short scene with another viewpoint? I’ve got these kind of odd little one-off scenes with these, just where the camera…I always think of it kind of like a movie or TV show where the camera pans over to somewhere else where we see what’s going on. Those were just fun. I don’t know how to say it any differently. I mean, I wanted to show a little bit of…you know, the story could have done without them, but it was just fun. Well, the one with the farmer and the pigs and the carcass being uncovered, that’s the sort of thing in a movie, that happens, and then you go, “Uh-oh! That’s bad!”. Is it bad to say I kind of enjoyed that one, where, you know, where the…it’s at the very beginning of the book so we’re not we’re not giving anything away…it’s the farmer finds that his pigs have savaged one another after they’ve dug up this carcass that came up out of the permafrost. And that was actually really fun to write. What about settings, like the enclave in particular? Do you have a detailed map of things like that, or just as, it’s sort of, as you need it, you’ll figure out where things are? For that, I kind of had to just form a mental map of where the things are. So, the enclave is the cult compound, basically. It’s a self-contained compound where these cult members live and work and they grow their own food and all this stuff, and they also have a seed company that they use to help support themselves. And, I did kind of have to have, like, a mental layout of where everything was just for my own sanity. I suppose one thing about writing a present-day or near-future is that at least the world itself doesn’t have to be created. People know what gas stations look like and bars and things like that. Yeah, that’s one of the hardest things when you’re doing, like, ancient historical…I mean, I literally spent a whole day once researching ancient toilets, ancient Israel…I’ve actually seen some, you know, when I was over there before…researching how that worked and what people used as toilet paper and stuff like that. And I remember thinking, “Wow, I just spent a whole day doing this.” So, that’s the luxury of writing present-day stuff is you don’t have to inform everyone how these things work, or what people are eating or wearing or whatever. Yeah, it’s the challenge of writing any form of far-future science fiction or historical novels or fantasy novels is you always have to figure out these things. But at least now you know ancient Israeli toilets, and if it comes up at a party, you’ve got something to say. It was a sponge on a stick. That’s what they used. Oh good. Now I know, too. How do you develop the characters? You have a first-person character, Winter. How do you go about developing a character? Well, first of all, how do you decide who your character should be, and then how do you develop them, bring them to life? Well, it’s prescribed for me when I do my historical novels, so that that much is already informed, in the case of, for instance, Judas Iscariot or Eve or the Queen of Sheba. So, for that, it’s all about the research and what the research might tell me about the character, what has impacted this character and how it may have formed their personality. And when I do my historicals, my role is that those characters have to very much be a product of their day. So, for the thrillers, my main characters have been younger women, women in their twenties, I think just because that’s what I have been able to identify with. They are characters that…for me, I need to be able to respect them, I need to be able to feel like I’m offering someone who might be respect-worthy for readers, while at the same time offering somebody that readers can also identify with. I mentioned before I used to be part of a gaming community, a roleplaying community. And I say this, and it’s kind of weird, but I feel like I learned a lot about characterization from doing that, because I did it for so many years and we used to write stories about our characters, and I feel like I am putting on that other skin and roleplaying that character whenever I’m writing a novel. So, it’s pretty organic for me. How do you create a role? Going back to roleplaying…I was also a big role-player at one point…Dungeons and Dragons was my actual major in university, not journalism. Do you do a character sheet, like you list all these details about the character that you work from, or is again more of a sort of as-you-go thing for you? I don’t. I know people who do. I know people who, friends, they’ll have…they’re so organized, and maybe I’m just disorganized…but they’ll have pictures all their characters. I mean, they’ve got all this stuff, you know? And for me, though, I just…I kind of try to get that character very firmly in my mind and I really try to get that character’s neuroses and background and injuries and wounds and hopes and all that, all that stuff very firmly in my mind, so that so that I can go into a scene and I can be that character and I can respond organically as that character. So, for instance, Winter in The Line Between has been spiritually abused, basically, and she leaves and she’s contending with PTSD and she has OCD and she’s got OCD in a world that’s being taken over by a pandemic. It was…I loaned her a couple of my own things, because I, too, have OCD, so in that way maybe she’s a little bit similar to me, but I try to just keep it really organic and just go in and go, you know? I think really all of our characters have at least a little bit of us in them, because what else do we know to write from when it comes to writing people. There’s always a little bit of us in there. Absolutely. And you know, when I was maybe…do you remember the game Myst, the computer game Myst? So, when I was writing for Smart Computing, I interviewed those guys–I think they were brothers that wrote that game–and I was asking them about it, and they said, you know, we just want to make a game that we would like to play. And I think about that when I write books. I want to write a book that I would want to read, about a character that I would want to follow around. So that’s really my intent when it comes to characterization and plotting and everything. What is your actual writing process? Do you write on computer, do you write longhand, do you dictate? How does it work for you? And where do you do it? Well, I…so I live on a farm, and a couple of years ago I married a single father and farmer. So, I write upstairs–I call the attic, it’s the old part of the farm house–and I do it on a computer, just in the interest of time. I think…I’ve gotten used to it over the years. but I think that my original desire would have been to write everything in longhand first, but it’s too time-consuming, so I do it on the computer. I procrastinate for as long as possible. And I keep thinking I’m going to mature one of these days and get over this. But I turn fifty this year, I will turn fifty this year, and at this point I don’t know if I’m going to change that much. I’ve been this way since school, when I used to write my papers the night before they were due. So, I procrastinate as long as I can, and then a few months before my deadline I freak out and then I decide I’d better get going and then I write and I get tired here and there, and then the last month or a few weeks or so I’m going very hard at it. In the last couple weeks, I’ll write up to twenty hours a day, and I just…I don’t know how long I can keep doing it that way because it’s very physically draining…but that’s my process. It’s a matter of obsession and panic after a bunch of procrastination. So, once you have that novel crafted, or at least a draft of it, what’s your rewriting process? Do you use beta readers, or how does that work for you? I have an editor friend who’s been with me through quite a few…most of my novels, I think almost all of them except for the first one and maybe one of the ones I co-authored… and so I will usually turn to him, to have him read it. He’s very familiar with all my writing tics, he’s often helped me, you know, structure it ahead of time, and so I have him read it, and then I go in and I rewrite. And I rewrite pretty obsessively, and I edit pretty obsessively and it’s very hard for me to turn a novel in. I actually like the process of editing better than the process of writing the first draft. I find first drafts really painful. But I like it when I have something to work with and I can really go in and shape it up. I think that’s a lot of fun. And it’s hard for me to turn it in, though, because I want to keep picking at it. I’m a picker. You mentioned writing tics. What are some of yours that you have to watch out for? I’ve worked really hard to try to get rid of them. I used to use a lot of dashes and I used to like to jumble up kind of the order of my sentences and, like, where you’d get the clause in front or whatever it’s called. I used to really overuse the phrase “for the first time.” I write in first person a lot and my characters would often say, “For the first time in blah blah blah I felt this, or I saw this,” or “The first time in my life this…” Those are items that my friend Steve, my editor friend, calls Toscaisms. So…I had another question about the rewriting process…your editor! What does the editor contribute then, when the manuscript comes in? How much editorial revision do you typically end up with? The editor at my publisher? Okay. Well it just depends. I mean, for The Line Between, she had some suggestions around the structure in order to keep that pacing that’s so important for thrillers. But it just depends on the book. When I re-did it and I sent it in, we did several rounds on that one, but on my most recent one that I turned in, the one that went really, really quickly, actually, and I think that’s how you know that it’s fairly clean, she sent it back and she said, “This is the shortest editorial letter I’ve ever written.” And I was like, “This is either really good or really bad, I don’t know.” So, I went through and I made just the few changes she had and sent it back in and she sent me the line edit and she goes, “I think this is the shortest line edit I’ve ever done.” So, it just really depends on the book and kind of what’s going on. The Line Between took me a few rounds to really wrestle into shape and I think…I don’t think it was so much the story. I think there was a lot of upheaval happening at my publisher at the time, and I think that all those things can kind of go in and play with your confidence as you are working. So, I think that probably affected my writing I was working on it. Yeah, there’s been a lot of a publishing upheaval over the last few years, that’s for sure. One thing I found in the book that was interesting was the little, the ads for the seed business. Was that something that..at what point did you decide those needed to be in the book? Yeah, I’ve got an ad, and I’ve got a web page for it, I think. I just thought, I just…there are these little things that, once again, that just kind of come up while you’re working on something and where you think, “You know, this might be kind of helpful?” We’re so used to looking at web pages, we’re Googling things, and I thought, “Let’s just slam a web page in here, right here, for the seed business,” because it’s a little piece of extra information, and your eye can go over it quickly, you can read it. Well, I was reading it on my iPad and my first inclination was to poke at the link…even though I knew it wouldn’t work, but that’s, I had this urge to poke at it. I should I should have thought of that, because that would be so funny, to make some of those links live, like, on the Kindle or something. It doesn’t work in a PDF, I can tell you that. 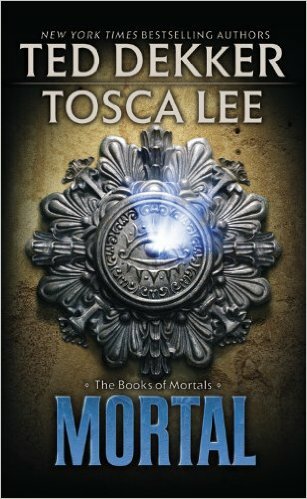 I also wanted to ask you about…you have collaborated with Ted Dekker. What does a collaboration…how did that work for you? Collaborations are fun and they’re educational, I think, for both parties. And if you’re ever considering doing it, my advice is always to know what your strengths are as a writer and to know what you’re bringing to the table, because, as in any partnership, whether it’s a business partnership, whether it’s a friendship, whether it’s a writing collaboration, it’s important to know how your strengths will complement the other person’s. And so, it takes time to kind of iron out the process, and I’ve known many people who have collaborated, many authors, and I’ve never heard of anybody having exactly the same process. I mean, I know coauthors that literally sit in the same room together and write each word together, looking over each other’s shoulders at the screen, which would drive me crazy, and I know other people that trade off chapters and trade off characters. Over the course of three books, we had a few different processes for that, Ted and I, and I can tell you that the first book, generally, it took quite a lot longer and the second book was much faster. And then the third book just flew by because by then we had the process down. So, we should probably say what those three books are. Oh, sorry, okay. 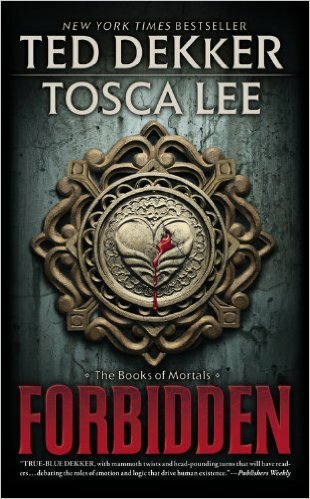 So, it’s the Books of Mortals trilogy, and they are Forbidden, Mortal, and Sovereign. And I’ve actually collaborated with another author since then, but we have not put that book out yet, so…and it was again a very rewarding experience and also a very different process from the way that Ted and I wrote. So, I think it’s always different and I think it’s really important always, as a writer, to know yourself well enough to know how you work best, and to bring that to the collaboration, too. Well, now we’ll go on to the big philosophical questions. They’re not that hard. Well, maybe they are, I don’t know, but hopefully not. Well, first of all, why do you write, and then second, in the more general sense, why do you think anybody writes? Especially, why do we write things like historical novels and fantasies and science fiction, things that are counterfactual or alternative worlds or however you want to think of that? I think for several reasons, I think because, a) it’s fun. You know, when you’re a kid, you tell stories. At some point we grow up and we think maybe we shouldn’t spend our time doing stuff like that, but I think on its most basic level we write, and we tell stories because it’s fun. And I think also because it’s entertaining. I think at the beginning of my career I wanted to write to see if I could do it and I wanted to write to connect with history and connect with other people. And I think, as I said earlier, that we all basically want to know that we’re not alone. And so that’s why we read and that’s why we write. These days, though…that is still there, and the fun part is still there, but I also really enjoy entertaining readers. And it took me a while off doing signings and stuff. I had…I would occasionally have people come up and give me a hug or something. and some of them would start crying. and there was some emotional response there, and what I didn’t know is that the books I had written…and the crying was not about me, and it wasn’t even really about my book, it was the fact that they, we, all turn to fiction to escape for a time, whether it’s just boredom or whether it’s just to go enjoy ourselves or whether it’s, you know, we’re going through something difficult like a divorce or we’re caretaking for an older parent or something. We all need to escape. And I realized that there were people coming and telling me, “I read your book when I was in the hospital and I was very sick, and I read your book when I was going through this difficult time.” And so, there’s an emotional connection there. And I think of those readers when I write, a lot, because it’s such a privilege to offer them those adventures or those escapes. And I love doing that. That seems like a good reason. 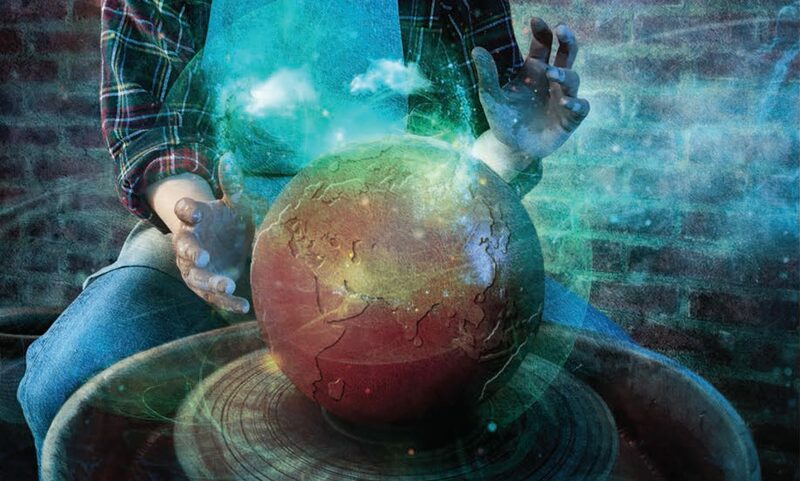 When you write these, you’re shaping…this is called World shapers, so I’ll use the term “shaping” your fictional worlds…are you hoping in some fashion to shape your readers, to have some impact on the real world, and if so, in what way? And if not, why not? Well, yes, I mean I always hope that there’s something that they will take away, that they will think about, or that they will learn. And in the historical novels it’s really easy to say that, because I want them to have experienced and seen or learned something new about the history or about that time period that maybe they didn’t know before. But I really also just want them to have something to chew on when they finish reading and they’re still thinking about the book. I really like that. I like that for myself as a reader, when a part of me is still in that world and I’m still thinking about something in it. I don’t really try to dictate what that might be because I’ve learned that what it is that people take away from a book depends so much on what they bring to it and what’s going on with them at that time. So. Yeah. So, it sounds like connecting with your readers is something that’s very important to you. Yeah, it is, in stories and in the books but even on social media and stuff like that too. That’s one of the funnest parts about being an author to me, being invited into the lives of my readers and being able to join them for a time. And what are you working on now? And what’s after that? Well, currently on my desk I’ve got edits for A Single Light, which is the sequel to The Line Between, which comes out in September, I think the 17th or something like that. I have just sent over to my agent a concept for my next book proposal, which is also a thriller with a historical element. So, we’ll see what happens there. And…yeah, those two things. Oh, and it’s that busy time right before a book releases, and so it’s a little bit crazy right now but I’m trying to do these edits and stuff in the midst of all. Is it just the two books, then, in this particular story? Yeah, just the two books. Well, I got to the end of it and was anxious to find out what happened next, so I’ll be looking to the next one. Well, make sure that you get the next one. It’s not exactly a cliffhanger but there’s definitely a sense of something is about to happen. I’ve discovered that. My first book in my series ends with a very definite cliffhanger and I’ve discovered there are readers who really, really hate books that end with cliffhangers, or they might like the book, but they don’t like the cliffhanger. Yeah. If they have to wait, they don’t like it. Now it’s the book, the sequel’s already out then they’re usually okay, I think. It’s always nice if you can get a complete series and read it from start to finish. Maybe not for the author who wants the book to sell as it comes out, but…. Well, you know, we live in this society that so used to bingeing everything now, so I think we’re used to it in that way, to being able to watch and read and consume everything all at once. Well, you mentioned George R.R. Martin. I finally read the books, last fall, I think, and I thought there were so many of them that he’d surely have the last one out by the time I finished the ones that are already out. But no. Yeah, it has to be. So, where can people find you online if they want to connect with you. And you’re active on there? I’m active on there, yep. That’s great. Well, I think that’s about it. So, thanks so much for being on The Worldshapers. Thanks for having me. I so enjoyed it. And we should just mention, what’s the new book called and when does it come out? It’s The Line Betweenand it’s out January 29, so it’ll be out now when this airs, and then the follow-up is A Single Lightand it’s coming in September. And are there audiobook versions as well? 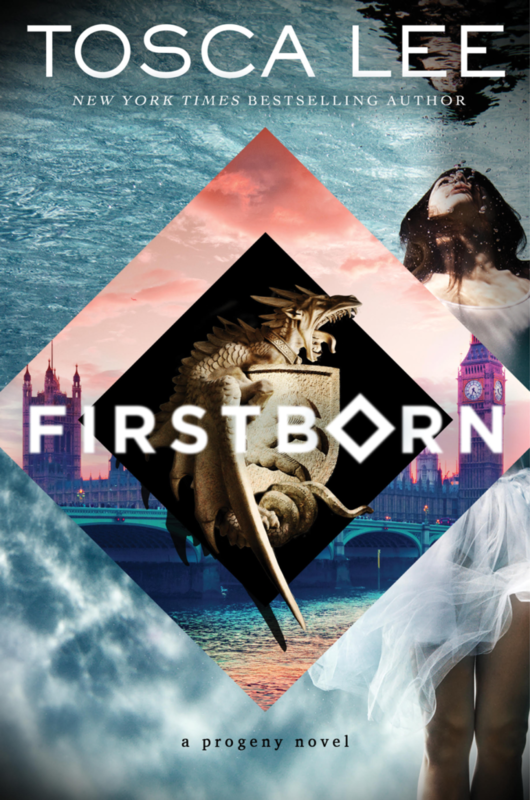 Yes, and I’m very happy to say that Cassandra Campbell–she did my last novel, Firstborn, but she must recently did Bird Boxas well–she’s narrating, and she’s fabulous. Okay, so something else. Because there certainly are people that love audiobooks. All right. Well thank you very much for being on. I’ll let you go for now. But I really enjoyed it. Thank you so much, Edward. Thank you.